Cozy, rustic and genuine. 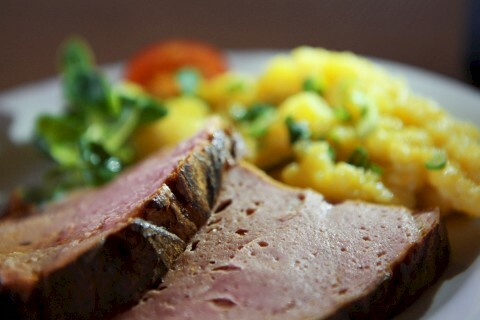 These three words describe best the Weiherer inn. 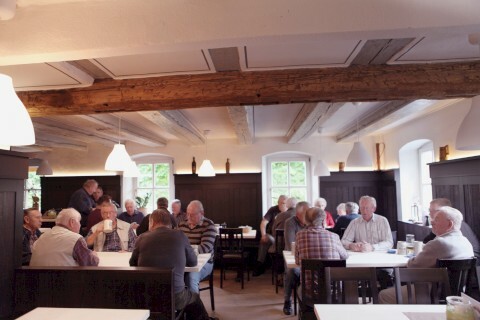 Open every day from 9 a.m. except Wednesday, the newly refurbished restaurant with its historic ceiling beams creates a cozy atmosphere and invites you to enjoy the home-made typical Franconian dishes from our menu. 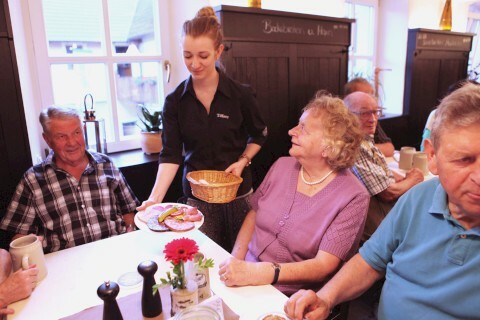 In addition to home-made bread, home-made sausages and specialties such as our “Leberkäs” (a type of meatloaf) served on Fridays or our home-made “Gerupfter” cheese spread made of camembert and spices, our specialties also include “Schäuferla” (pork shoulder with a chewy crust) in beer sauce on Saturdays and – not to be missed – “Bocksbraten” (roast goat) we prepare twice a year according to a traditional recipe. 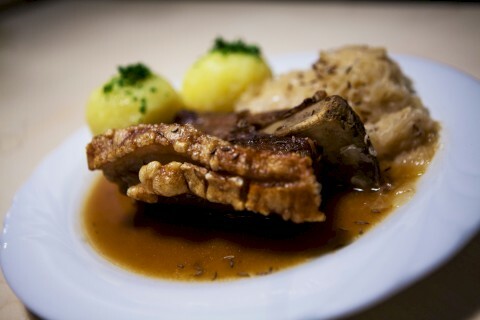 On Sundays and holidays, we offer a generous selection of Franconian dishes at lunchtime,and, once a month, we serve “Schlachtschüssel”, a kind of choucroute garnie with freshly cooked sausages and boiled pork belly, as well as pork broth from own slaughtering.